A one-day deep dive class was organized at Paavai MIC, on 16th April 2016, to help the student beneficiaries to develop apps for Microsoft Azure. The class enabled the trainers to use real world experience with Microsoft Azure. Around 85 Paavai Students and 3 Paavai faculty members has attended and got benefit from the Training, co-ordinated by Kuppurasu, MIC in-Charge and Dr. Vijayaragavan. In Session 1 – “Introduction to Microsoft Azure” by Dr.S.Vijayaragavan, Dean – QA&A, discussed the basic concepts and features of Microsoft Azure. In Session 2 – N.Kuppurasu, Center-in-Charge, Paavai MIC lectured on the HOL for Microsoft Azure Web Apps. In Session 3 – “Azure Virtual Machines” by D.Muthuramalingam, PEC II MCA, lectured on the HOL for Creating Virtual Machines using Microsoft Azure. 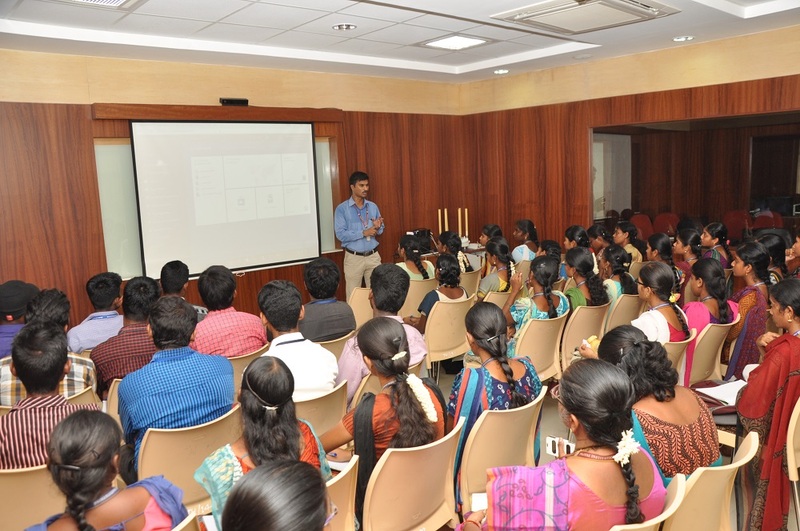 In Session 4 – M.Prasanna, MSP, PEC III CSE lectured on the HOL for Microsoft Azure Mobile Service. In Session 5 – “PHP on Azure” by Delpin Susai Raj, II MCA, lectured on the HOL for Creating PHP Website using Microsoft Azure. 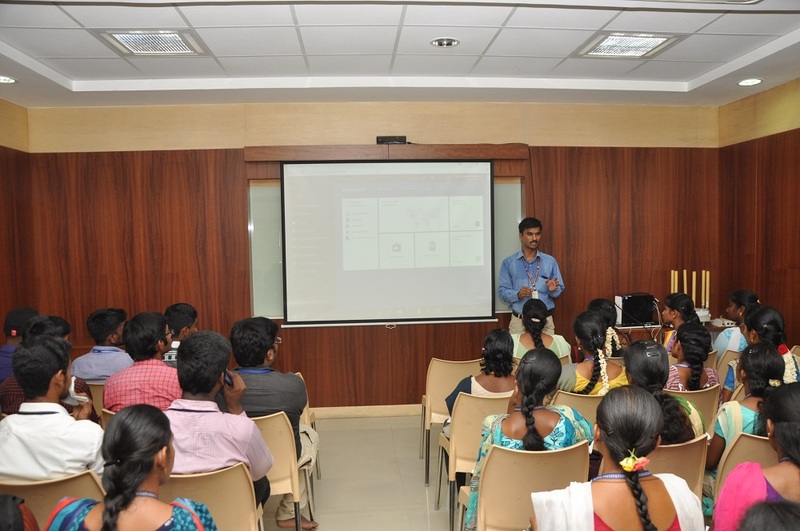 In Session 6 – S.Tamilan, MSP, PEC III ECE, dealt with IoT with Azure Mobile Apps and IoT with Azure Web Apps. All the sessions included info on the real time scenarios with HOL. Paavai institution was ranked as the second best location out of 189 locations around the world in GAB Racing Game Lab for creating world record. Paavai MIC participated in the GAB Racing Game Lab from 16.04.2016 6.30 A.M. to 17.04.2016 4.00 P.M. (33 Hours). Raghu (D.S.Raghunathan) II MCA PEC was ranked 2nd in the Racing with 29916 points while the 1st ranked Netherlander scored 30000 points to clinch a slender lead and the First Position. Naveen (A.Naveen) Ist yr IT PEC of Paavai was ranked 6th with 29278 points. The Chairman, Correspondent, Director-Admissions, Director-Administration, Director-Operations, Director-Placement, Principal, Heads of the Departments and faculty members congratulate our students DS Raghunathan, A Naveen for their achievements in this international event and appreciate the 85+ Paavai Students who actively participated in the GAB 2016 on 16th & 17th April 2016, at Paavai MIC. Also appreciating Mr. Kuppurasu (MIC in-charge) and Dr. Vijayaragavan for their time bound co-ordination of the entire Global Azure Bootcamp 2016 and motivating all Paavai Students to take part in such global events and explore their latent talents and show case them.